The beautiful, picturesque town of Pylos is located in the Prefecture of Messinia at the southwestern edge of Peloponnese. Amphitheatrically built, upon two hills, this small town combines harmonically the traditional mainland architecture along with its sea character. 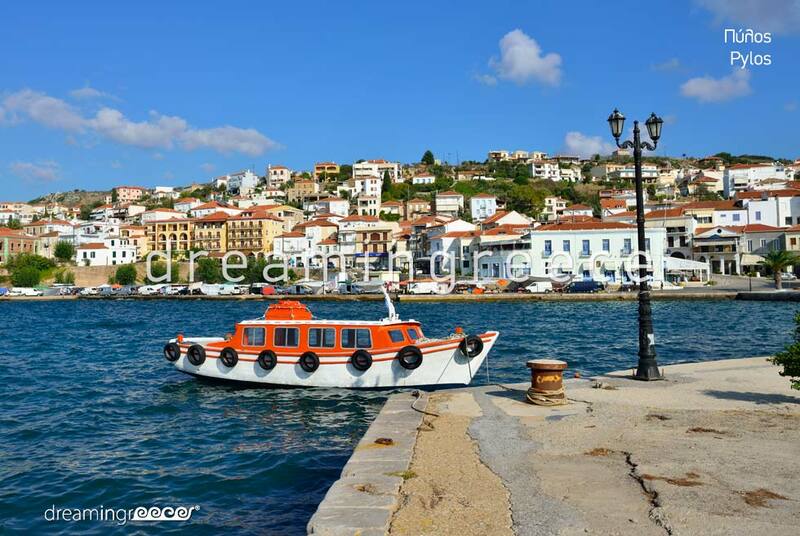 The very first scene, the traveller comes across, when arriving at Pylos, is formidable: whitewashed buildings with red-tiled rooftops mirrored along with the boats masts in the almost still waters of the port! 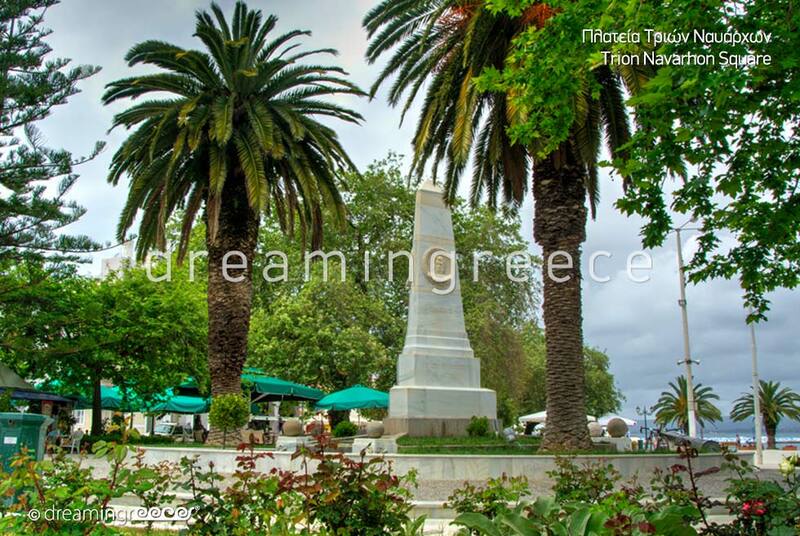 At the centre of Pylos lies the Three Admirals' Square, where the dedicated memorial is risen. The square, as well as the buildings surrounding it, is a conception of the French architects under the commands of General Maison (1829). 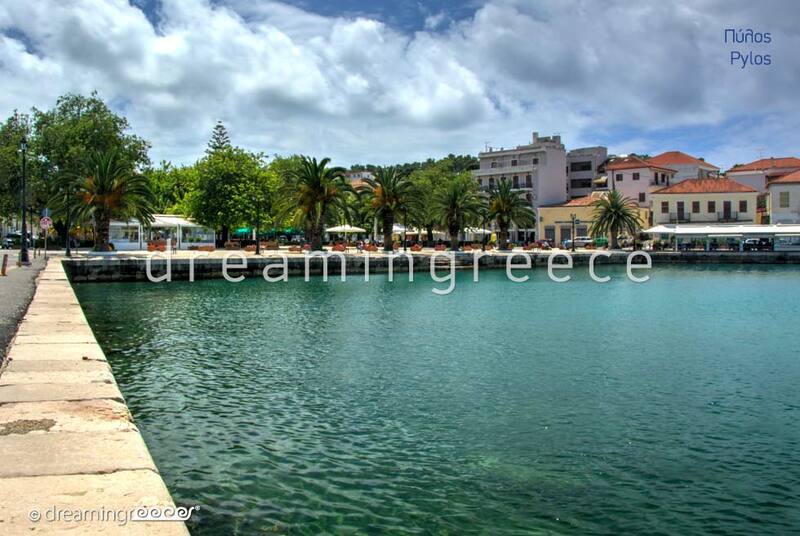 It was the construction of the square, that triggered afterwards the growth of the modern part of Pylos. Two castles constitute the landmarks of this small town. The younger one was named Neokastro (Newcastle), in contrast with its precedent Paleokastro (Oldcastle). Built in 1573 by the Ottomans, in order to control the south passage of the Navarino Cove,consists today one of the best preserved fortresses in all Greece. The Seventh Bastion, with the breathtaking view of the Ionian Sea, Sfaktiria and the rocky island of Tsichli-Baba must definitely be at your sightseeing list. Paleokastro was built by the Franks at the end of the 13th century, in order to control the north passage of the Navarino Cove. Nowadays it stands derelict, “keeping secret” a thousand years of history within. Worth a visit not only for its rich history, but also for the spectacular view it offers: the Yalova lagoon, the Navarino Bay, the semicircular beach of Voidokoilia, the Ionian Sea and the lush Messinian land compose an idyllic setting. Just in front of the natural port of Pylos lies the oblong island of Sfaktiria, which hosts several monuments of historical importance. The island is accesible by boat. 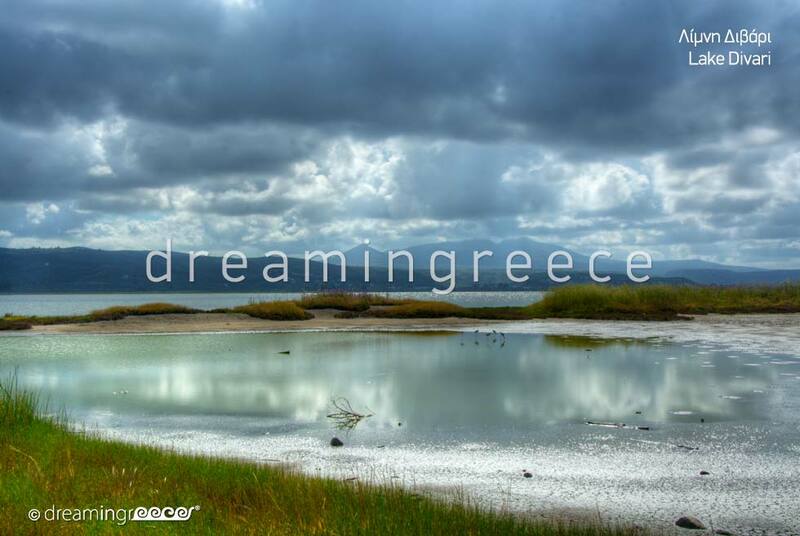 Worth including it in your tours, the Yalova lagoon, the most important wetland in southern Greece. 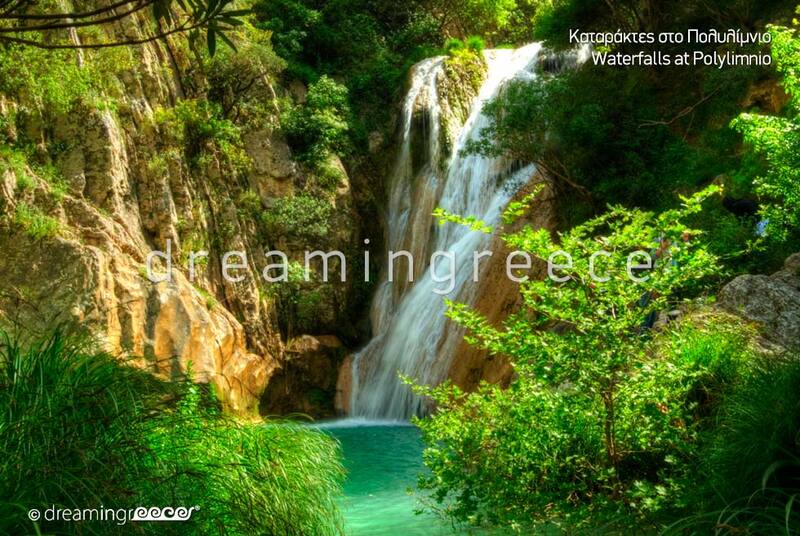 Within short distance from Yalova, on the road to Schinolaka, is the small, but very beautiful waterfall Kalamari. 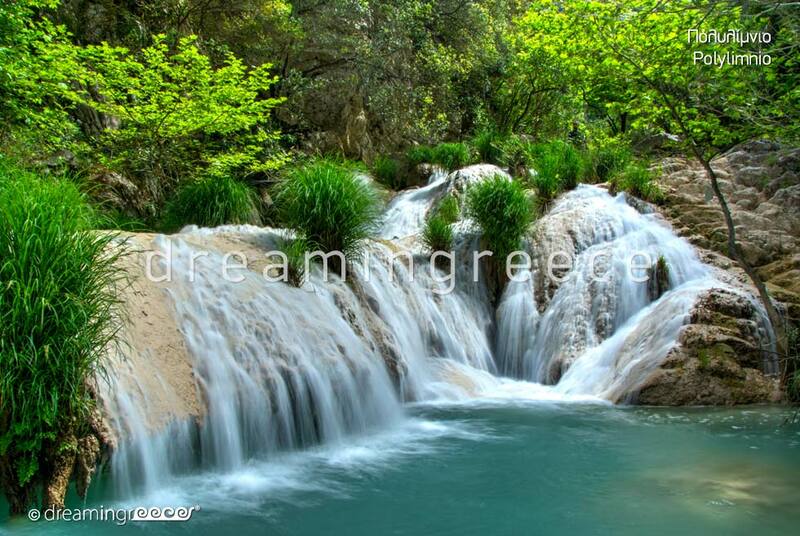 In order to reach the waterfall, you will follow a fairytale ride through kermes oaks, oaks, pines and beautiful glades. Leaving Pylos and heading to Messini make a stop at the Canyon of Polilimnio. The signs will lead you to the parking lot and from there, following a small path with picturesque wooden footbridges, you will find yourself in a heavenly place with ponds and waterfalls. 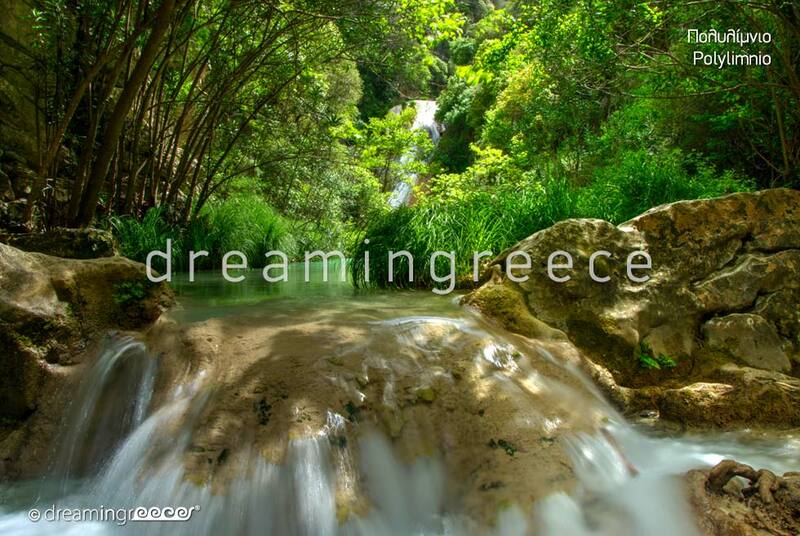 The luxuriant vegetation, the wooden bridges, the ponds and waterfalls turn hiking into a unique and unforgettable experience! 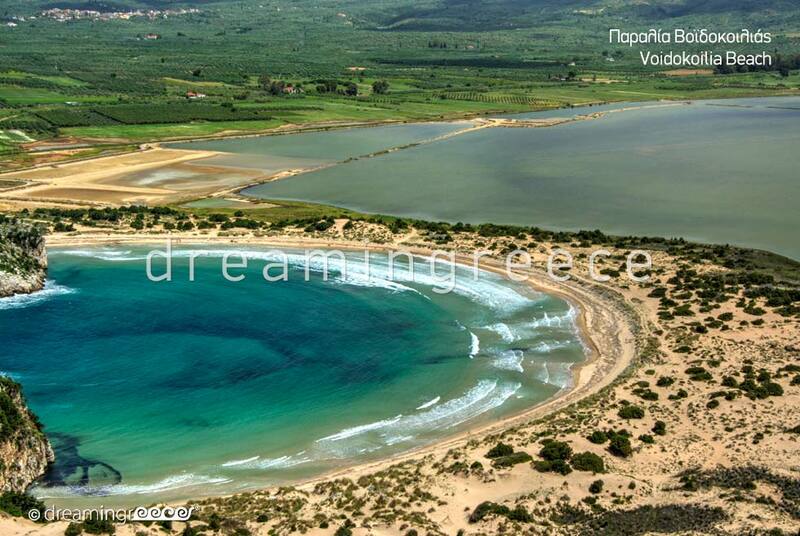 Within Pylos you will find no long beaches, such as those you will find in the greater region. However, two small creeks, formed along the frieze that runs in front of the taverns and bustling cafes, are perfect for a short dive. As far as the pier jumpers are concerned, they can make the best of the pier. In the seaside village of Yalova (north of Pylos), you will find an organized, sandy beach. This beach stretches in front of restaurants and cafes and is ideal for those, who want immediate access to the market. The beach of Yalova continues with the Gold Coast or Divari beach. This is an extensive, sandy beach with shallow waters, ideal for families with children. At the end of the road, is the organized part of the beach, with sun loungers and beach bar, from which you can get coffee and snacks. Do not forget to bring your scuba diving mask: the waters house “forgotten” shipwrecks, that promise a magical journey through time! At the end of Divari beach lies the Fig Tree Passage. 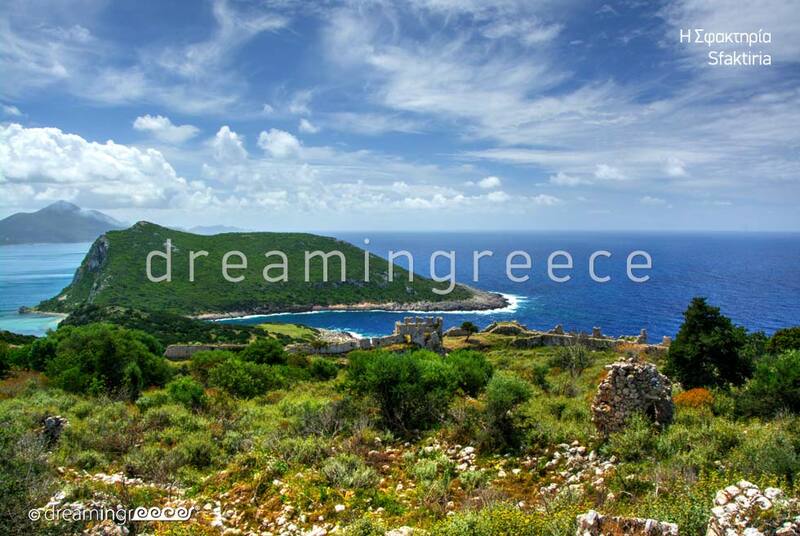 It is a narrow strip of sea, that separates the island of Sfaktiria from the mainland. Try to swim to the opposite shore. The beauty of the beach will reward you for the effort! Voidokoilia beach with turquoise waters, fine golden sand and dunes, is rightly considered one of the most beautiful beaches in the Mediterranean. It is mainly famous for its shape (an almost perfect semicircle), which is so symmetric, thus creating the feeling, that is etched with compass! Apart from the astonishing natural beauty, the beach “conceals” archaeological treasures. On the mound above Voidokoilia, ruins of a Mycenaean tholos tomb have been discovered, while on the hill above Voidokoilia dominates the castle (Paleolastro). 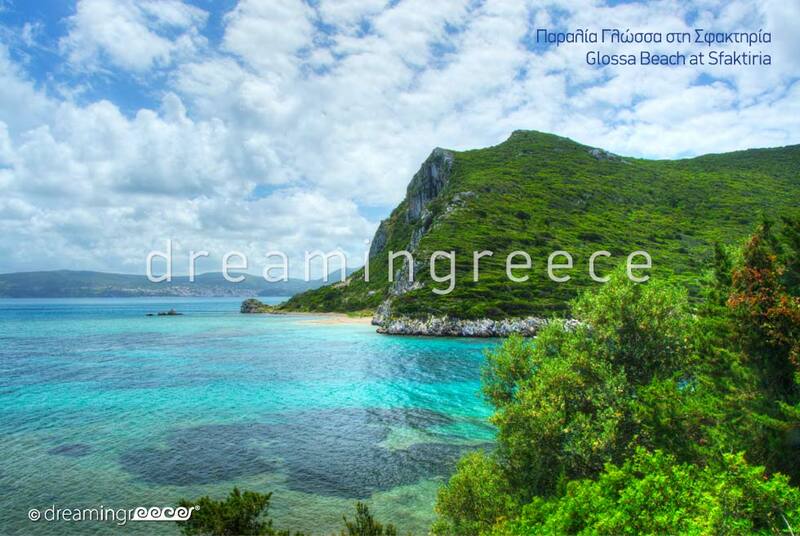 Upon the rock, that Paleokastro is built, at the side of the beach, a cave is visible, the Cave of Nestor. The beach is not organized, that is why visitors should bring their umbrella, water etc. 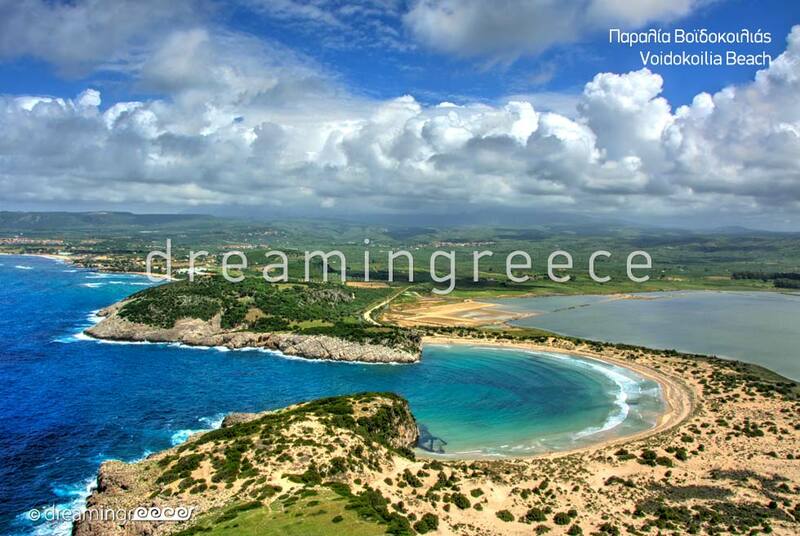 Another beautiful beaches in the area is Romanou, an extensive, sandy beach. 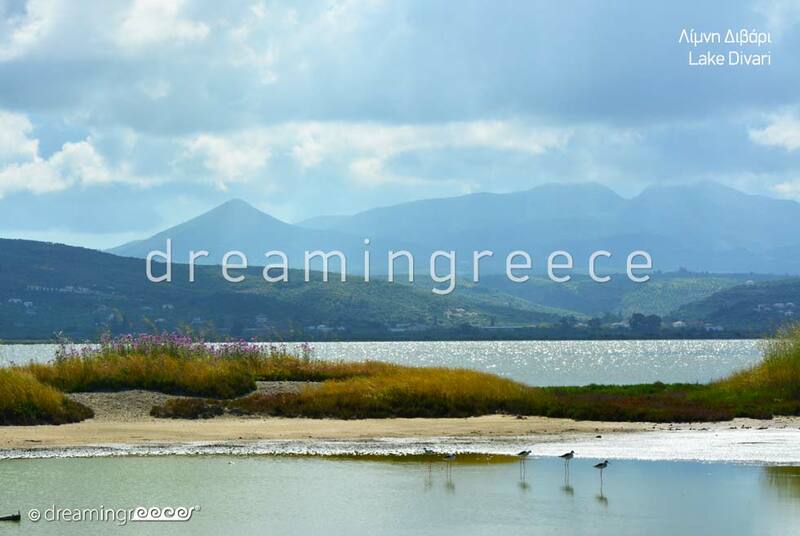 Those who love peace and isolation, will adore the small beach of Glossa (behind Voidokoilia beach). At the top, there is a very narrow break, which barely allows entry of seawater, creating a dramatic image. For those who want to expererience something different, they can try a swim in the cool waters of the lakes of Polilimnio, such as in lake Kadoula. For the more adventurous ones, the surrounding rocks offer great diving parts into the deep waters of the lake. To reach Pylos you can drive from Athens via the National Highway from Athens to Corinth (274 km distance - 3 hours ride approximately). 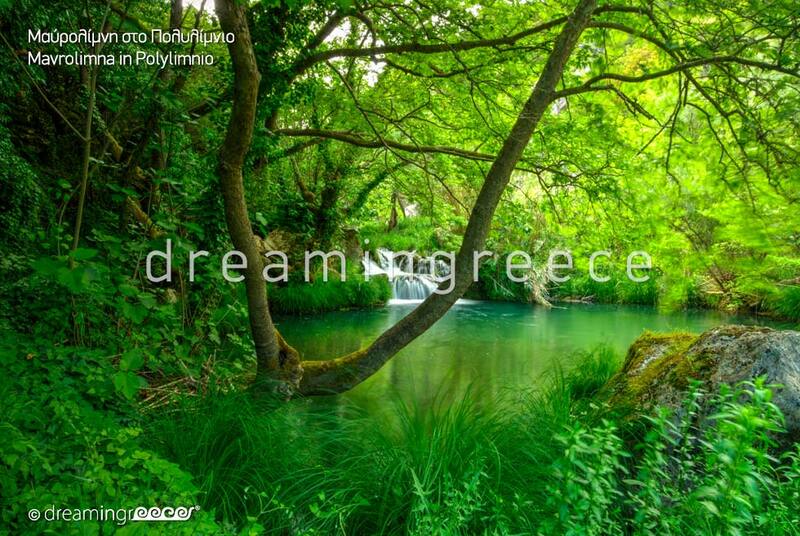 Then you will head for Tripoli and then for Kalamata via the new National Highway from Tripoli to Kalamata. Take the exit to Messina and follow the signs to Messina at first and then to Pylos, which is only 40 km away from Messina ( 40 minutes ride) . To reach Pylos, you can also fly to Kalamata's airport, which receives domestic flights from Athens and Thessaloniki, as well as regular scheduled flights from European cities such as London, Milan, Munich, Moscow, St. Petersburg, Stockholm, Gothenburg, Kiev and Tel Aviv, but also charter flights to and from London, Manchester, Amsterdam, Vienna, Prague and Oslo. Then you can take the local buses from Kalamata to get to Pylos. You can also take the Intercity Bus (KTEL Bus of Messinia) from the Intercity Bus Station of Kifissos (3 hours journey). For more information on the bus routes of KTEL Bus of Messinia click here. To reach Pylos from Patras you can drive via the National Highway from Patras to Pyrgos (216 km distance - 3 hours & 30 minutes drive approximately). 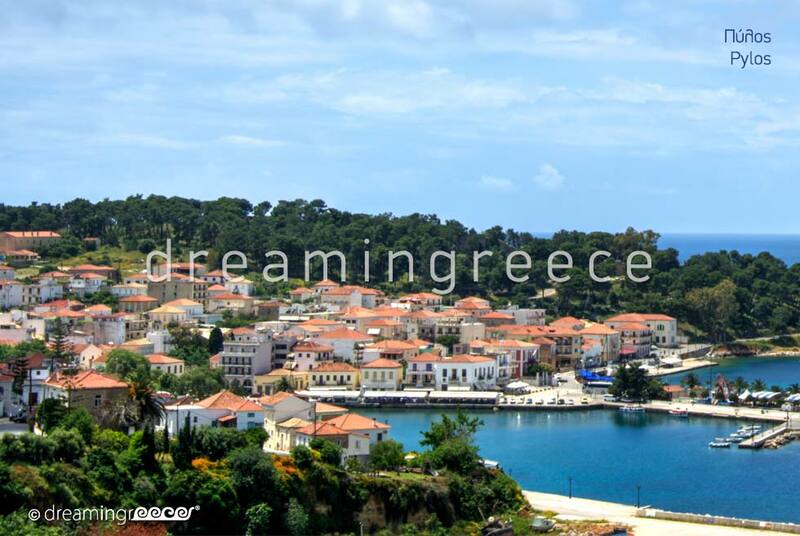 Then you will take the road from Pyrgos to Kyparissia and head for Pylos.